As usual here are the SaudiMac posts for the month of June 2010.
â€¢ Apple announces iPhone 4.
â€¢ iPhone OS 4 renamed to iOS 4.
â€¢ iPhone 4 release date: June 24 in 5 countries and up to 88 by September. â€¢ Video: iPhone 4 Announcement plus download link. â€¢ Comparing iPhone 4 and iPhone 3GS. â€¢ Cisco licensed iOS trademark to Apple. â€¢ iPhone 4 price in Saudi Arabia. â€¢ List of countries selling factory unlocked iPhone 4.
â€¢ A Closer look at the iPhone 4 display. â€¢ iPhone 4 from UK, France is officially unlocked. â€¢ iPhone 4 HD 720p video. â€¢ iOS 4 for iPhone and iPod touch released by Apple. â€¢ Video: Breaking an iPhone 4.
â€¢ How-to: Jailbreak iOS 4 iPhone. â€¢ Comparing iPhone 4 and iPhone 3GS screens. â€¢ Thoughts on iOS4 â€¦. â€¢ iPhone 4 day one sales estimated at 1.5 million units. â€¢ iPhone 4 gets blended. 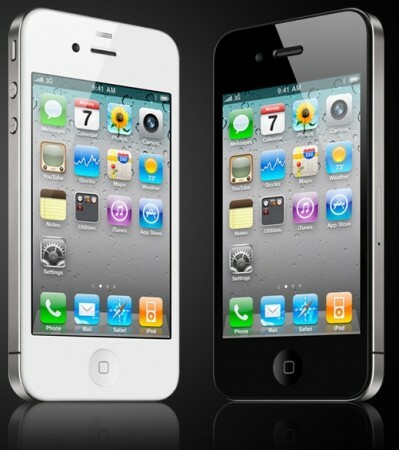 â€¢ Apple sold 1.7 million iPhone 4 units in the first 3 days. â€¢ Short Film Shot and Edited on iPhone 4.
â€¢ Intego warns from Malware on some Mac software. â€¢ Video: Steve Jobsâ€™ D Conference interview. â€¢ The Full, Uncut Steve Jobs Interview. â€¢ Apple adds Podcasts section to countries without an iTunes Music Store. â€¢ iTunes App in iPhone and iPad finally works in Saudi Arabia. â€¢ AT&T contacts iPad 3G owners. â€¢ Mobily signs a contract to sponsor an e-gov event on an iPad. â€¢ New smaller Mac mini released. â€¢ 600,000 iPhone 4 pre-orders in 1 day. â€¢ WWDC 2010 session videos now available. â€¢ iPad shipments estimated at 1.2 million monthly. â€¢ New MobileMe Mail is now available. â€¢ Apple Sells Three Million iPads in 80 Days. â€¢ Questions and Answers about Aperture 3.
â€¢ iPad, iPhone, iPod touch App News for the week â€“ 2.
â€¢ Apple releases Safari 5 with Extensions. â€¢ 2010 Ars Design Award winners for Mac OS X software. â€¢ Apple Design Awards 2010 Winners. â€¢ Team Fortress 2 for Steam on Mac released. â€¢ Adobe Flash 10.1.53.64 fixes 32 Security Holes. â€¢ Google Earth for iPad. â€¢ Mac OS X 10.6.4 Update. â€¢ iTunes 9.2 released in preparation for iOS 4 and iPhone 4.
â€¢ Security Update 2010-004 for Leopard. â€¢ First Look: Mobily App for the iPhone. â€¢ Find my iPhone App released. â€¢ iBooks 1.1 for iPhone. â€¢ Counter-Strike: Source for Mac. â€¢ Groups 2.1 updated for iOS 4.
â€¢ Mobily app updated to fix crash. â€¢ Twitter App Twittelator Pro 4.0 for iOS 4 and iPhone 4.
â€¢ Donâ€™t miss watching these WWDC videos. â€¢ iPad and Velcro video on Appleâ€™s site.